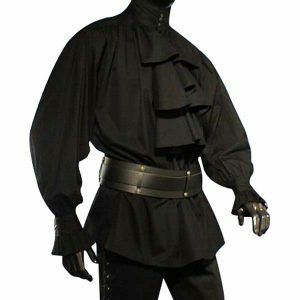 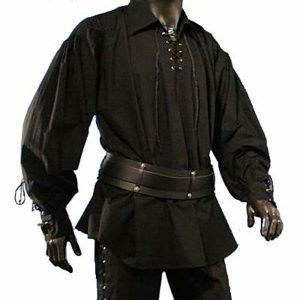 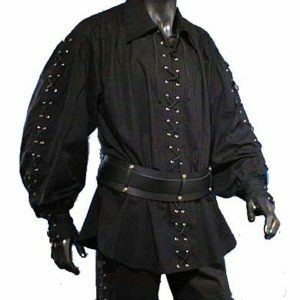 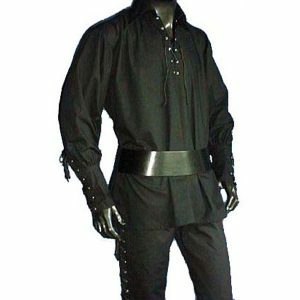 Men's Medieval Tunics And Shirts - Black Raven Armoury. Whether you’re taking to the stage, the screen, or the Larp or Cosplay battlefield, it’s important that you always look and feel the part – and our extensive range of historically inspired, expertly crafted men’s medieval tunics will ensure you do just that. 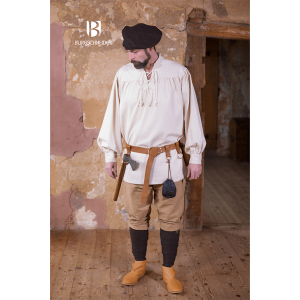 We’ve got everything you need to ensure that you look and feel truly authentic, comfortable, and protected, whatever the occasion. 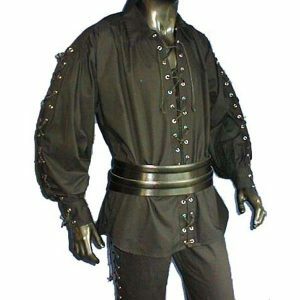 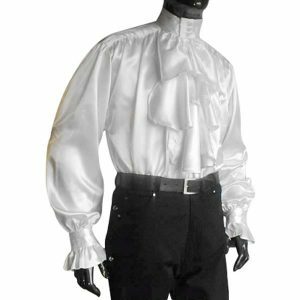 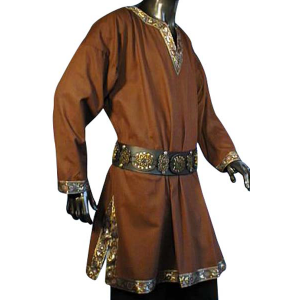 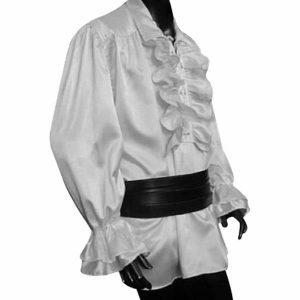 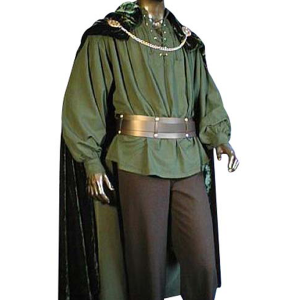 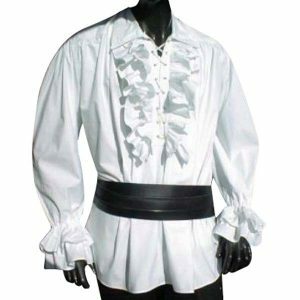 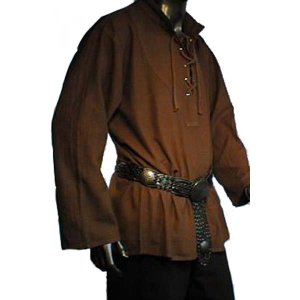 Whether you’re looking for historically inspired Viking, Norse, Medieval, or Regency costumes for Larp, Cosplay, SCA, film, or theatre productions or events, our Men’s Shirts and Tunics will meet your needs and exceed your expectations. 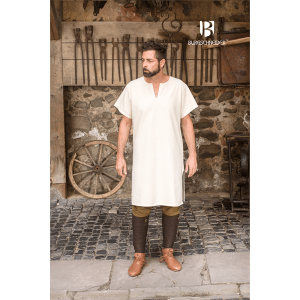 From the ¾ Arm Undertunic Lofar, the Medieval Tunic Ekwin, and the Short Tunic Erik, through to the Short Arm Undertunic Snorri, the Middle Ages Shirt Aegir, and the Medieval Viborg Shirt Olaf, our historically inspired Men’s Shirts and Tunics convey quality, comfort, and authenticity. 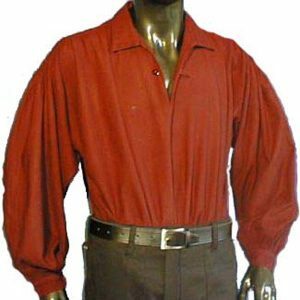 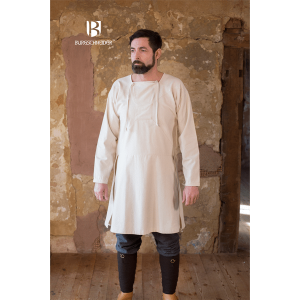 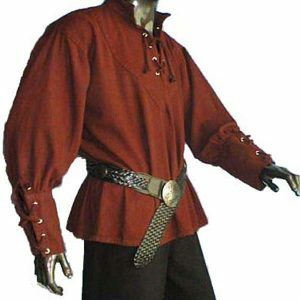 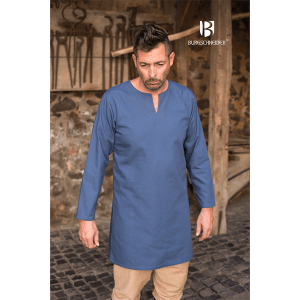 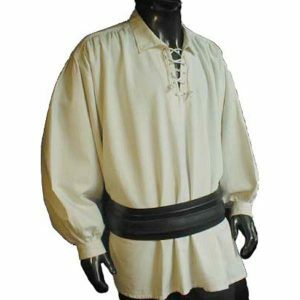 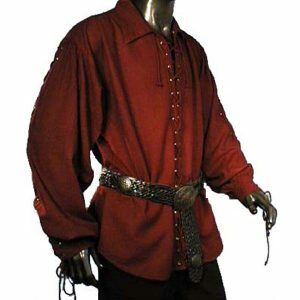 All of our Larp Men’s Shirts and Tunics are available in a range of sizes and various colours in order to meet your specific historical costume requirements when it comes to your Viking, Norse, Medieval, or Regency wardrobes. 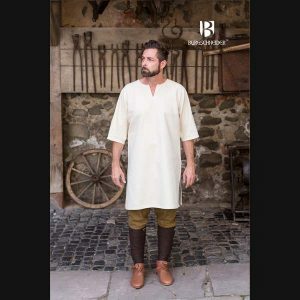 Designed with authenticity in mind, our Larp Men’s Shirts and Tunics are hand crafted using the ultimate skill and precision and the finest traditional tools and materials. 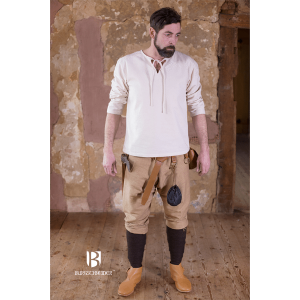 We apply an incredible attention to detail to ensure that all of our costume and character pieces reflect the true nature of the period they are inspired by. 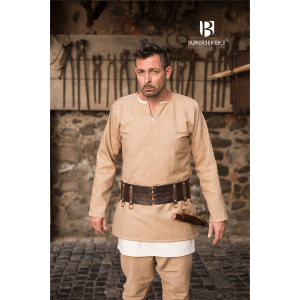 We go above and beyond to ensure that, whether you’re playing a Viking warrior, a Medieval villager, a Norse peasant, or any other Larp, Cosplay SCA character, your specialist costume is comfortable, reliable, and visually impressive. 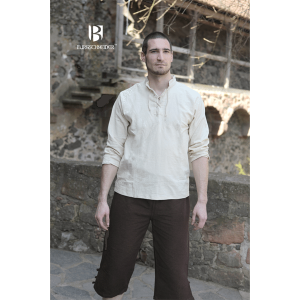 Bringing together marvellous attention to detail and authentic features, this collection will allow you to enjoy a wide range of distinct styles that are ideal for the big screen, Larp events, or the theatre stage. 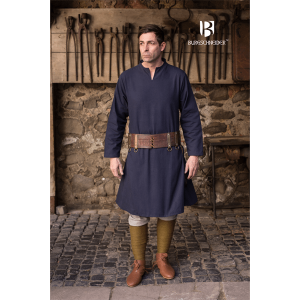 Team your men’s medieval shirts and tunics, with our leather armour, men’s coats, cloaks, and robes, men’s trousers, hats and hoods, or our historically inspired jewellery to complete the look. 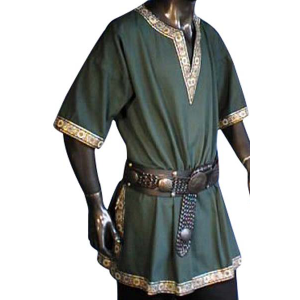 Here at Black Raven Armoury, we specialise in offering an extraordinary range of Viking and Norse inspired costumes that will allow you to experience incredible quality, expert craftsmanship, and outstanding attention to detail. 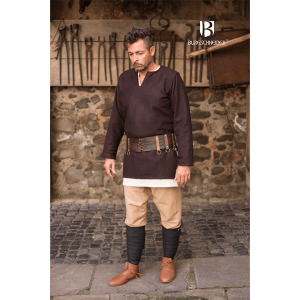 If you have any questions about any of our beautifully crafted Norse and Viking inspired men’s medieval tunics and shirts, please do not hesitate to get in touch. Our friendly and helpful team is always on had when it comes to pointing you in the right direction for all of your Larp costume needs.